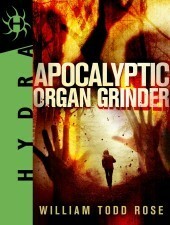 I was drawn to this book on a couple of different levels. First was the three authors listed … John Muir is a name I know from my interest in our National Parks and my time spent in Muir Woods and Yosemite National Park; Aldo Leopold, whose Sand County Almanac is still an environmentalists bible; and August Derleth – an author with whom I am familiar primarily because of his work writing dark fantasy/horror stories and his friendship with noted horror author, H.P. Lovecraft, but who also wrote a great deal of historical fiction and non-fiction nature books about the region of Wisconsin in which he lived. I was also drawn to this book because of its environmental nature and because of the region – Wisconsin – while not my home, a neighbor where I have spent a bit of time. 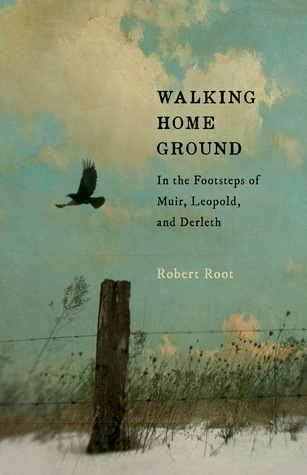 Robert Root is an author of several books, though I am not familiar with any of his other titles. His motivation for the book is that he had recently moved to a small town in Southeastern Wisconsin and he wanted to get to know his new home and chose to explore the areas previously walked by some famous authors before him. I’m not quite sure what to make of the book itself. It’s not quite a book of reflections … thoughts while spending time in the outdoors … such as we might have had with Sigurd F. Olson books. It is not quite a natural or environmental survey of specific parts of Wisconsin. It is not quite a biography of three writers or an autobiography of one. It is not quite a prose or poetic map of geologic regions. And it is all of these things at the same time. I can’t say that I learned a lot here, but I enjoyed the relaxing pace that Root delivers. He walks the home ground today and waxes about what the area looked like in the past, based on Muir’s, Leopold’s, and Derleth’s writings. It is an interesting way of reminiscing while reflecting on loss and and the environmental impact of today. I wouldn’t go out of my way to make sure to read this book, but should you pick it up and it looks interesting to you, then definitely give it a read. Looking for a good book? Walking Home Ground by Robert Root is a unique mix of environmental, natural, and historical reflection in the modern area. Most interesting is getting to know the ‘home grounds’ of three popular, literary individuals. Emmeline Truelove is a very modern woman – modern for 1906 that is. Emmeline is a researcher and works with Maximillian Haywood, currently along the Scottish shore. They are researching an unusual discovery made recently along the Orkney Islands…a suit of clothing, which, according to family legend, belonged to a selkie (a mythological creature that appears to be a seal when in water and becomes human on land) who came from the sea and married the first laird of the castle. Truelove and Haywood are joined along the way by their acquaintance/friend, the silky, smooth, Lord Silverton. Silverton shows up just in time to protect Truelove from a curious stranger who follows her aboard a train. This stranger is someone we most likely met in one of the previous books in the series as Truelove recognizes and has some fear of him. But Silverton is possibly not all he lets on to be. First, he seems remarkably interested in Truelove – to the point where he might be considered a ‘stalker’ today. He manages to convince her that he should stay in her room with her, in case he needs to fight off another villain. The fact that he gets her tipsy certainly helps his case. But when Truelove wakes in the morning, Silverton and the special item she was carrying, are gone. And when Max and Emmeline discover later that Silverton has truly disappeared, Emmeline follows him, through time – a journey that may not have a return trip. When I requested this book, I thought I was requesting a historical romance – I did not know that this was a historical romance fantasy. I did not know that time travel would play a crucial role here, until it happened. There were clues, looking back on it I can see that now. And perhaps there were more clues in the earlier books – especially centering around the stranger who follows Truelove on the train. This is the sort of surprise that is neither good nor bad. I enjoy time travel fantasy/sci-fi books just fine – I just usually know what I am getting into when I read one. Because this took me by surprise, it took me out of the book. I had to stop and go back to re-read a few chapters to make sure I was reading everything right. Yup. Traveled through time. Once I accepted that and moved on, I was fine and enjoyed the book well-enough. I just wish I’d had some sort of clue as to what sort of book I was reading. Looking for a good book? 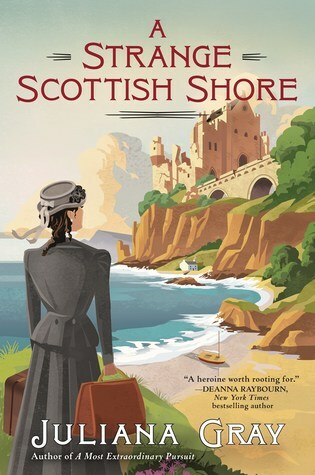 This historical romance mystery, A Strange Scottish Shore by Juliana Gray, is actually a historical romance mystery fantasy. Be prepared. And then enjoy. Room for Doubt is the fourth book in the Carol Childs Mystery series by Nancy Cole Silverman. 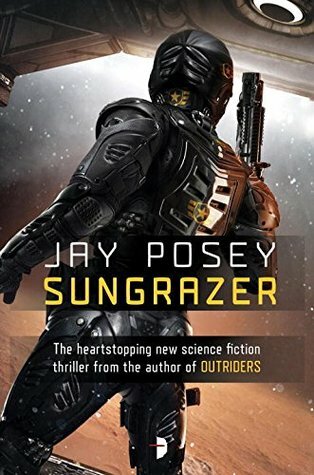 This is a series that started off a little rough for me but has gotten better with each book and holds true to that here with number four. Carol Childs is a radio reporter in Los Angeles and when she’s called to a death on the Hollywood sign in the early morning hours. She thinks, at first, that it must be a movie stunt – a body hanging from the Hollywood sign seems to obvious. But she notices that the police and coroner are handing it as a body and she knows that something here is amiss. But the police rule it a suicide very quickly and something about it doesn’t sit right with Carol. Just a quick inspection of the area around the hillside shows signs that someone recently left the area through a hole in the fence, and the strange find of a red rubber clown nose with the body doesn’t make any sense. While on the air later, Carol receives a call from a woman identifying herself only as “Mustang Sally” who claims to have killed the man on the Hollywood sign the night before. Thus Carol begins a journey seeking the truth, and justice for the victims, that will surprise her and have her rethinking what ‘justice’ actually means. I really enjoyed the mystery in this book and I often enjoy stories where things aren’t black & white – where they aren’t clear-cut – and that’s definitely the case here. Everything about this story was really splendid and revealed nicely through the course of the book. At the end of Chapter 11 I made a note in my Kindle: “Nicely written scene…so much here…great job showing, not telling.” This chapter spoke volumes. This book is definitely worth reading! I had two little moments that made me pause and think about what I had just read – moments that took me out of the story. In the first, Carol consults with “Dr. Sam, the station’s resident GP who specializes in geriatrics.” Doesn’t ‘GP’ stand for ‘general practitioner’? And isn’t a general practitioner someone who, by their very title, does not specialize? I looked it up to be sure, but that’s what I find. Even so, a recommended read. Looking for a good book? 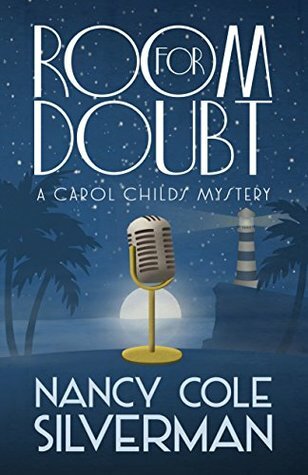 Room for Doubt by Nancy Cole Silverman is the fourth book in the Carol Childs Mystery series and it has some teeth to it – a strong story with an intense mystery. This is not what I would consider a ‘typical’ book for me (though I’m not sure I have such a thing as a ‘typical’ book), but there was a reason that I was interested enough to request this book … theatre. Because I write and direct for the theatre I do sometimes look for books such as this for reference material. I recently worked on a show from the period that this book covers and my interest was high. Author Norma Shephard has done some remarkable research and presents a very detailed, very thorough look at children’s clothes from the time of the American Civil War through the turn of the century and just prior to the Jazz Age. But research is nothing without a great presentation and Shephard walks us through the periods and the styles, detailing when and why are particular style might have been worn, how it came into fashion, and what the other fashions were that complemented it. Because of its specificity it is one of the most detailed history books I’ve read. This era is ripe with photos as this was the beginning of popular photography as well, and those who chose to be photographed often dressed in their very best outfits. But we also have a tremendous source of newspaper and catalog pages with drawings that represent the styles of the eras. prevailing influence of artistic taste. numerous petticoats as the bustle replaced the cage crinoline. stockinged splendor and ankle-hugging leather boots. The one down-side for me was the introduction to the book. At well over 40 pages, this is one of the longest introductions I’ve come across in a book. When I was on page 52 and I was at Chapter One I thought, “Wait a minute! What’s going on? !” I’m not sure why this was an introduction and not a chapter. Does it make a difference? Only because of expectations. I expect an introduction to set up what I am about to read and maybe why it’s important or why the author chose to write the book. I do not expect an introduction to give me the history of dyes or the influences on clothing from literature or pages about hats and pages about gloves. These are all great subjects, worthy of chapters or at least inserts within chapters, rather than being bunched together in one very long introduction. That aside, this is a wonderful book for history buffs, costumers, writers of historical/period fiction, or anyone interested in period clothing. Looking for a good book? 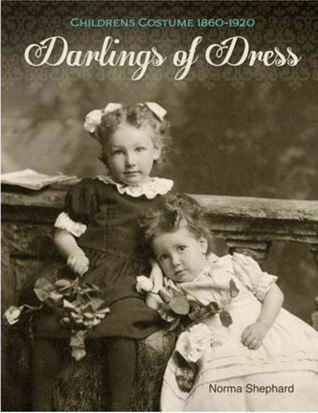 Darlings of Dress by Norma Shephard is a thorough, remarkable book about clothing for youngsters during the latter part of the Victorian Age up to the Jazz Age. Although I’ve been drinking bourbon for a few decades (as the primary alcohol in my Manhattans) I admit to knowing very little about it other than I prefer bourbon to most other whiskeys. 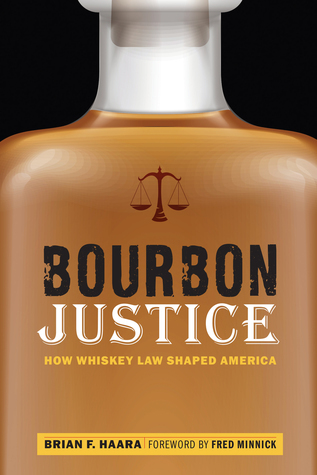 Brian F. Haara’s Bourbon Justice shares not just a little history of bourbon, but shows us how this distinctly American alcohol laid the foundation for many of our modern consumer protection laws. Americans have always seemed to me to be rather litigious and so it seems quite appropriate that bourbon (one of the factors for the alcohol to be called a bourbon is that it has to be made in America) has set the stage for a number of American laws. Right off the bat we learn that it took lawsuits and a decision by the President of the United States, to determine what constitutes a bourbon. Then we embark on trademark and brand name decisions that still affect us today. We learn about puffery (there’s a legal definition) and exaggeration and truth in labeling – something which is still an issue today and has often been a source of contention between various bourbon manufacturers. We even learn a little bit about bourbon and Prohibition. What is presented here is really rather fascinating. There were times when I couldn’t believe that someone had, perhaps, copied a label so much in order to trick a consumer into believing their inferior brand was actually a different, more expensive brand. Or that a family couldn’t use their family name on a bottle because the rights had been sold generations earlier. Yet with all that’s here, it doesn’t feel very complete. Maybe this is it. Maybe the ten chapters of this book really do make up all laws brought about by, for, and against bourbon manufacturers. Or maybe it’s at least all the important lawsuits. But it just doesn’t feel that way. I get the sense (and I can’t quite say why) that this just skims the surface. Haara does a really fine job of presenting his information and the book is well researched. Nearly a fifth of this slim book is made up of Acknowledgements, Notes, Table of Authorities (court case references), and an Index. I did appreciate the “Tasting Notes” mixed in with the book, in which different bourbons are highlighted and detailed. I will definitely refer to this in the future when I need to pick up another bottle. The bottom line, however, for me, is that I don’t think I am any better informed when it comes to selecting my bourbons. Who actually manufactures my favorite drink, what it consists of, and where it comes from, can still be obfuscated enough, legally, that it would take some pretty intense research to know. I guess I’ll keep going just based on my tastes. Looking for a good book? Bourbon Justice by Brian F. Haara takes a detailed look at how the beginnings of bourbon in American also brought about early lawsuits, many of which are either still in place or at least set the bar for today’s consumer protection laws. It is an interesting read. I received a digital copy of this book from the publisher, though Netgalley, in exchange for an honest review.